Tor Science Fiction, 9780765366481, 384pp. No one expected the oil to last forever. How right they were…. A geopolitical miscalculation tainted the world's major oil fields with radioactivity and plunged the Middle East into chaos. Any oil that remains usable is more prized than ever. No one can build solar farms, wind farms, and electric cars quickly enough to cope. The few countries still able to export oil and natural gas—Russia chief among them—have a stranglehold on the world economy. And then, from the darkness of space, came Phoebe. Rather than divert the onrushing asteroid, America captured it in Earth orbit. Solar power satellites—cheaply mass-produced in orbit with resources mined from the new moon to beam vast amounts of power to the ground—offer America its last, best hope of avoiding servitude and economic ruin. As though building miles-across structures in space isn't challenging enough, special interests, from technophobes to eco-extremists to radio astronomers, want to stop the project. And the remaining petro powers will do anything to protect their newfound dominance of world affairs. NASA engineer Marcus Judson is determined to make the powersat demonstration project a success. And he will—even though nothing in his job description mentions combating an international cabal, or going into space to do it. 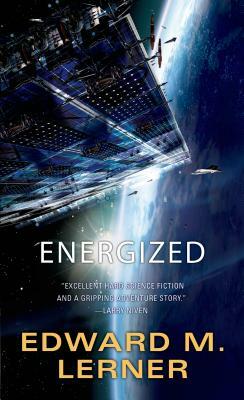 Edward M. Lerner worked in high tech for thirty years, as everything from engineer to senior vice president, for much of that time writing science fiction as a hobby. Since 2004 he has written full-time, and his books run the gamut from technothrillers, like Small Miracles, to traditional SF, like his InterstellarNet series, to, with Larry Niven, the grand space epic Fleet of Worlds series of Ringworld companion novels. Ed’s short fiction has appeared in anthologies, collections, and many of the usual science fiction magazines. He also writes the occasional nonfiction article, on topics as varied as asteroid deflection, privacy (or lack thereof) in the Internet age, and the role of communications in SF.